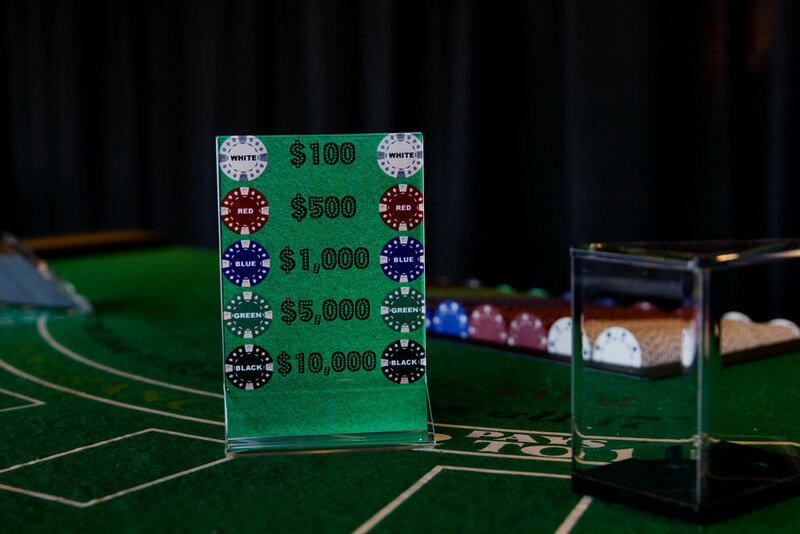 The safest bet you can make is hiring Snyder Entertainment to host a fully functioning Casino Party for your corporate or private event. 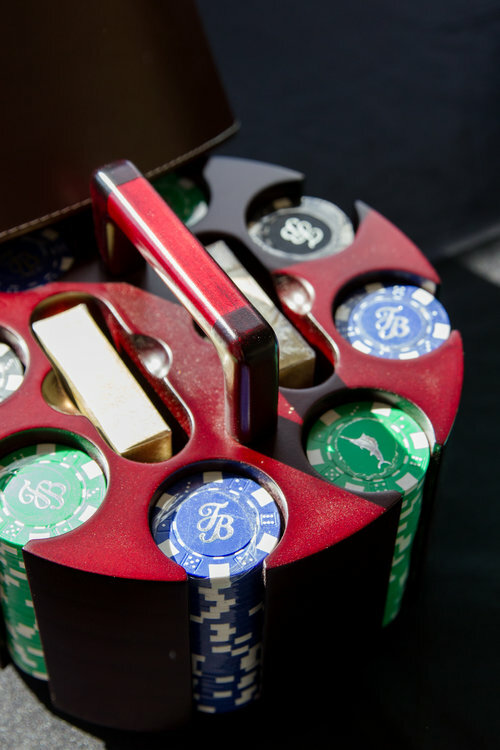 We have everything from BlackJack, Poker, Craps and Roulette to Horse Racing. We bring the tables, chips, professional dealers and a pit boss. All you will have to worry about is which table to play first. From single table private events to 36 table corporate Casino Nights we can do it all with our Casino Decor and Lighting Packages. Contact Us today to find out more about Snyder Entertainment Casinos! A combination of the games above sounds like the perfect set up for a fun night in viva Las Nashvegas! Want to truly bring Vegas to your corporate event? Well, we can help you with our inventory of games! 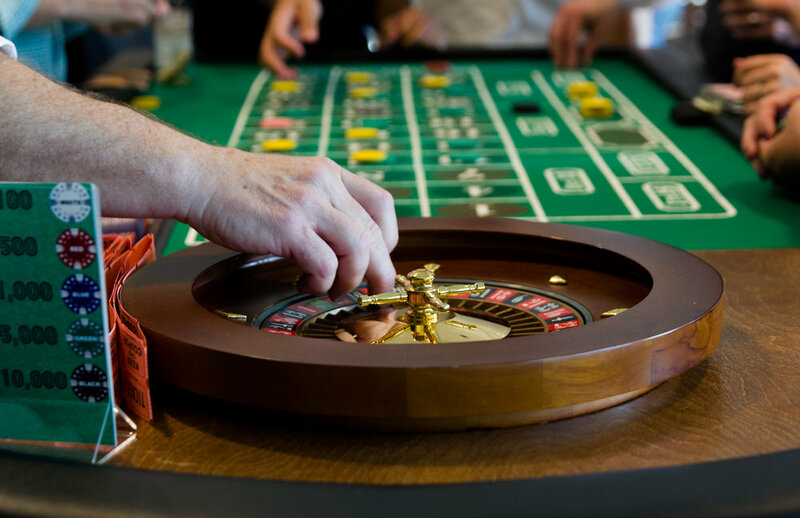 Not only can we provide the traditional casino games listed above, but we also have arcade style games like electronic darts, half court basketball hoops, foosball, ping pong, billiards, Pacman, and even life size board games like XL Jenga, the fun of karaoke machines, and so much more! Just ask for us for all the details..
With our Casino Packages, you also get table attendants that are professionally trained to all of the games just like in Vegas! Our team of Dealers bring energy, game knowledge, and they are stationed at the tables to collect and pay bets for the players. Our Dealers love themes and aren't afraid to fit in with the trend or dress in classic suits like they do in Sin City! 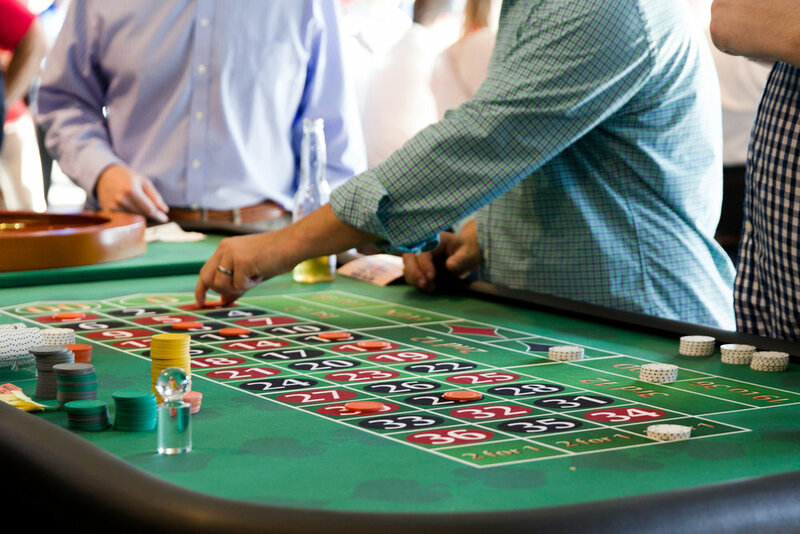 Another great way to elevate your Casino party is with our a la carte event additions. Let us bring in our Photo Booths, Green Screen Photo Booths, Step and Repeat Photography and don't worry about getting pictures for this years slide show. We will capture all of the fun and your guests will love it! Such a fun + great way to keep everyone excited, and the photos give your guests something to take home from the night (sorry we can't supply replicas of my flashing sign, there's only two made in the world). Once again we at Snyder Entertainment want to be the only phone call you have to make! Let us be the complete solution to your meeting or conference this year. 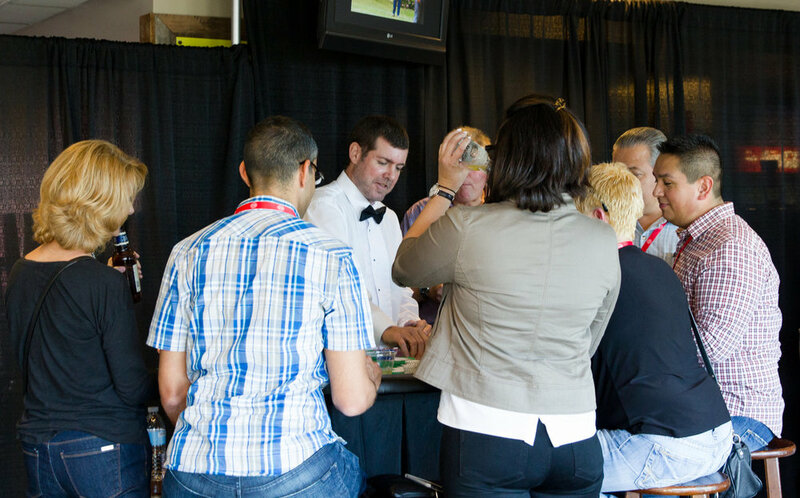 Contact us immediately to start planning your casino event + we'll help you start your team building efforts today!